Search by game title using the rating search on this page or on our homepage. 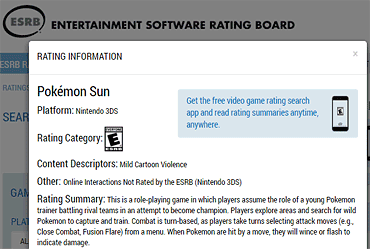 Each game with a Rating Summary will appear with a few lines of text displayed underneath. Click these entries to access their Rating Summaries. 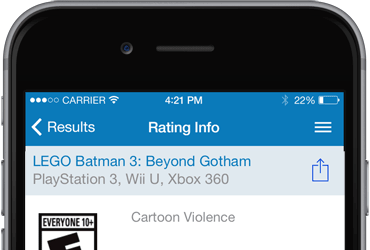 For mobile access to Rating Summaries when you're out shopping for video games, download our free app for iPhone®, Android™ and Windows® Phone.